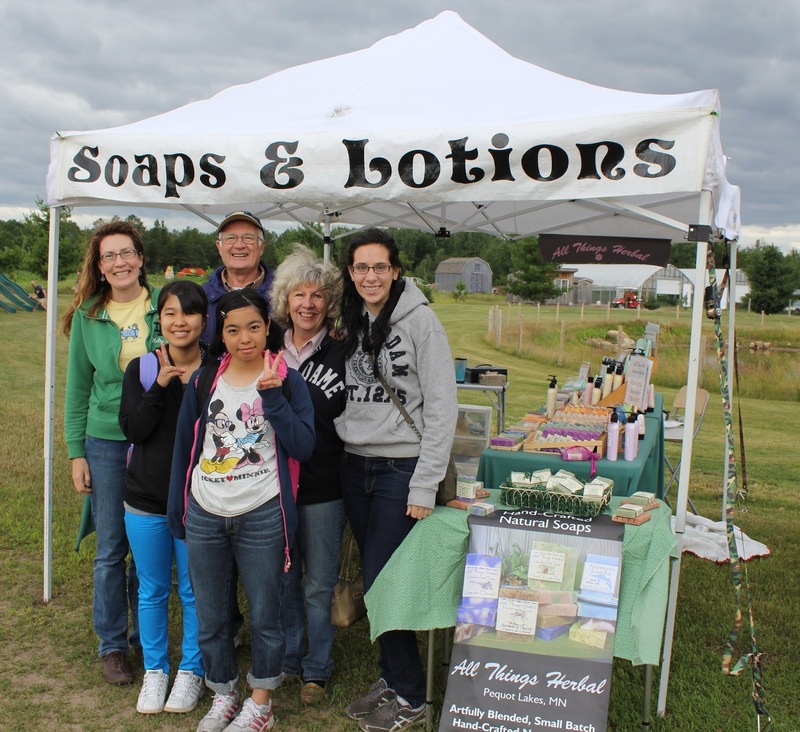 Summer is the time of year that we travel to outdoor festivals and exhibit our herbal soaps. Last Saturday we went to the Midsummer Faire & Celtic Celebration at The Farm on St Mathias in Brainerd, Minnesota. The weather was a bit challenging, with more like fall temps than July ones and some strong wind gusts all day. I almost lost the tent a few times to the wind...but no pain no gain. I love all things Irish and this is a fun show with lots going on and wonderful customers. The folks who put this show on are very helpful and the setting on the farm couldn't be more beautiful. Here's a peek at all the happenings. What's a Celtic Festival without sheep shearing? and stacks upon stacks of hay. Till next year~ Féach leat níos déanaí!